Local PET bottle prices in Malaysia, Indonesia, Thailand and Vietnam traded near their lowest levels in months last week, weighed down by growing concerns over plunging crude oil futures. WTI (NYMEX) crude oil futures settled at $56.46/barrel on Friday, down by almost $20/barrel since when they hit a four-year high in early October. 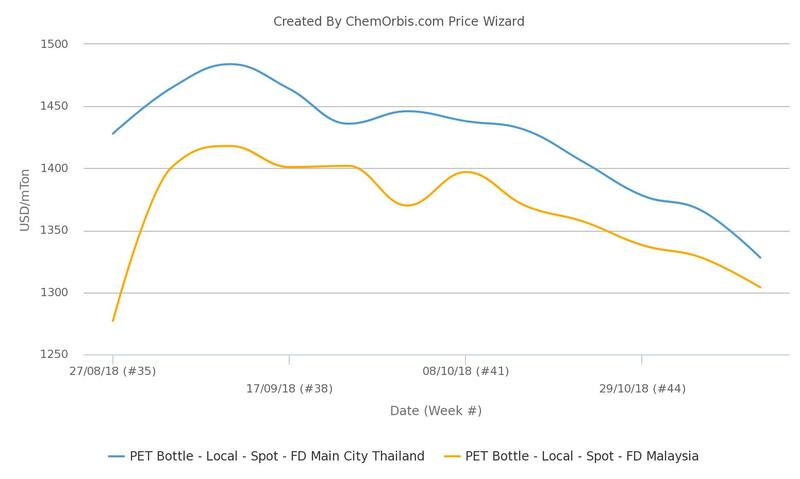 In Thailand, local PET bottle prices have been tracking a softening trend since they reached a five-year high in around mid-September. 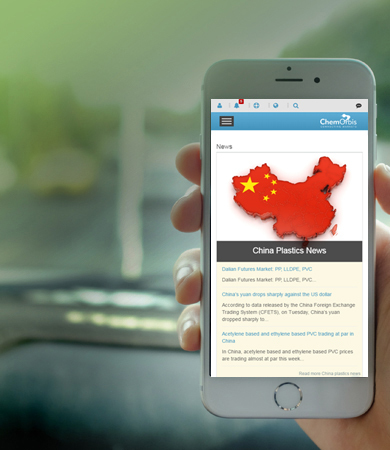 Data from ChemOrbis Price Index suggest that the weekly average of local prices has plunged to a more than nine-month low. Persistently thin demand was blamed for the recent round of price cuts. Malaysia’s local PET market has also witnessed consecutive decreases for the past five weeks in the face of disappointing demand. The market has reached its lowest level since late August. According to data from ChemOrbis Price Index, the weekly average of PET prices on FD Indonesia basis has hit its lowest level since mid-April. ChemOrbis Price Index data indicate that Vietnam’s local PET market has also decreased to its lowest levels since February. Meanwhile, import PET bottle prices to Southeast Asia have been following a bearish path since around mid-September and they have recently tumbled to a year-to-date low.